Are there messages just waiting to be uncovered in my home? That's what many are wondering after coming across a tweet that went viral this week posted by San Jose resident Alex Monney. The tweet, which has since been deleted, garnered more than 21,000 retweets and hundreds of comments. "We remodeled this bathroom summer 1995. 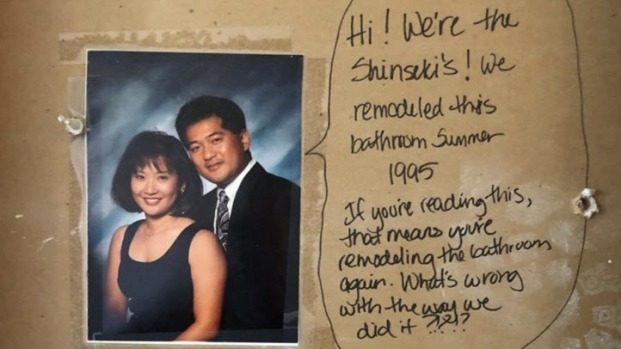 If you're reading this, that means you're remodeling the bathroom again. What's wrong with the way we did it?!?!?" 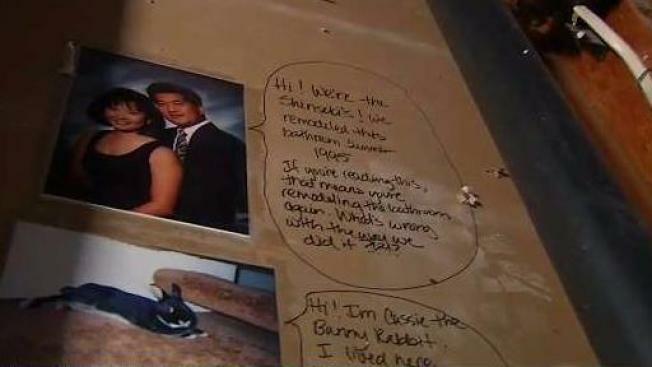 A San Jose couple remodeling their bathroom uncovered a hidden message left behind from the home's previous owner. The previous homeowners shared a picture of their pet rabbit, Cassie, too. "Thank you for the note. It gave us a lot of smiles," homeowner Alex Monney told NBC Bay Area. "It brought a lot of laughter to our life. Your bathroom was great. Sorry, for messing with it." The viral bathroom remake continues to be the talk on social media thanks to the likes of comedian and actress Sarah Silverman sharing the story. The Monneys said they plan to carry on the tradition and write their own message in the walls. Meanwhile, we'll be figuring out if any portions of our home are in need of a remodel. Who knows? There could be a hidden message from '95 patiently waiting to be seen.